loved it... quite possibly my favorite in the series!!! 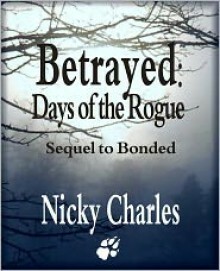 I've read all of Nicky Charles' books. The first, because it was a free download - the rest because they are my guilty pleasures. Perfect summertime poolside reads. Little wolfy, little porny = me likey. Nicky Charles does it again. This was a great story and opened up the world she has created just that little bit more. I also loved seeing how Reno and Brandi were doing from Bonded.